I have lived in Bristol all my life, and when the Bristol Pound was introduced in 2012, I will admit, I did not come much into contact with it. Whilst the novelty and purpose of the Bristol Pound seemed admirable, I had no idea of the sheer number of places that actually accepted it – over 800 businesses across the city. I’ve been browsing through the Bristol Pound directory and here are the 9 places that surprised me the most. This includes both the bookshop and the café/bar too! The number of times I’ve visited the Arnofilni, and never known it was a supporter of our currency. This surprised me because, not only is there a Chandos Deli round the corner from my own home, but also because I had always assumed it was part of a chain. This highlights one of the great uses of the Bristol Pound – distinguishing truly local businesses from the larges chains they compete against. Whilst I have known for a while that First Bus accepts the Bristol Pound, I would never have made a guess at Bristol Temple Meads Station! Certainly something to keep in mind when you next buy a ticket at the station’s ticket offices. I have always known of the Folk house for the café and music. However, the sheer amount of events at the Folk House is staggering. Just up the road from the Folk House is Flavalanche. As a long time lover of both Frozen Yoghurt and bubble Tea, knowing this place accepts Bristol Pounds just increases my motivation to visit more often. Bristol has a pretty solid music scene. We have a great selection of venues, and thus get a huge variety of bands. All of the tickets are to be found in the Ticket Shop, and great to know that they can now be bought with Bristol Pound! I feel like this should have been obvious, but as entry to the museum is free, it did not occur to my mind, despite having spent a large bulk of my childhood here doing the trails. This science museum was a staple of my childhood, I even went as far as to have multiple birthday parties here! Last, but certainly not least, the Watershed. I’ve been here many times over the years, both to the café, and cinema. It has always felt like such a staple that it’s impossible not to imagine that every city has a Watershed, but it’s acceptance of the Bristol Pound proves it is truly a Bristol-only thing. 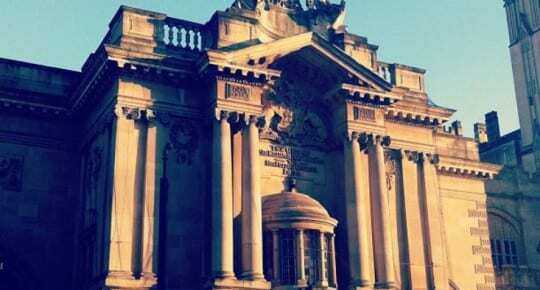 So here are ten of the places I truly did not realise accepted the Bristol Pound, but in all honesty, I could have listed a few hundred other places. The Bristol Pound is more widespread than I had ever previously believed, and I’m certain that there are places you won’t have considered. They’re all listed in the Bristol Pound directory, so this is the best place to start. Caroline Jeston is a born and bred Bristolian and freelance blogger. You can check out her more geeky writings here or her personal blog here.